Great Investment Property! Beautiful completely upgraded Pool Home located on an oversized lot with 100ft of water frontage in the prestigious Yacht Club area with sailboat access. The river can be reached in 5 minutes. Only 1 mile from the Cape Coral Yacht Club & Cape Coral's beach. Home offers large living & family room, gorgeous kitchen with granite counter tops with island and SS appliances. Enjoy a solar heated pool & a large patio area. This home features pavers on driveway & pool area and a 2 car garage. This House is in a very successful Vacation Rental Program with 80+ 5 Star Reviews on Homeaway! Vacation Rental company available on request. The Dock has a nice tiki hut and a 10,000 lb boat lift. I was searching for a Property and found this listing (MLS® #219008386). 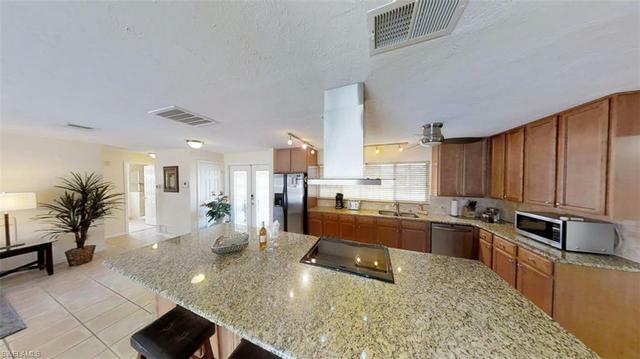 Please send me more information regarding 5323 Cobalt Ct, CAPE CORAL, FL, 33904. Thank you! I'd like to request a showing of 5323 Cobalt Ct, CAPE CORAL, FL, 33904 (MLS® #219008386). Thank you!